Responded in a timely manner. Very professional to deal with. Kept contact with me while resolving my pest issues. We have used this service for 41 years. Inside house spray every two months and immediate visit if we see bugs between visits, which has happened only a couple of times. Jessie is our usual customer provider and is always friendly and professional. We also have a termite inspection yearly that has never found termites. We are satisfied with being a long-time customer. The Cornelison Family, Ellicott City, MD. Been serviced by Jesse for several years. He is courteous, on time, informative and professional. He educates me on the service, the bug season and simple improvements I can make in between treatment to curb bug activity. I love your service and my technician is great. Thank you for keeping me pest free! Always on time. Very professional and knowledgeable. Very friendly and courteous. Helped us get rid of a terrible rodent problem. Would not trust anyone else. I have been quite satisfied with my contract with Home Paramount. They are on-time, professional, thorough and personable. The fruit fly’s have gone I haven’t seen any since Harry was here. my mistake was not calling you sooner. Technician is courteous and knowledgeable. Love that he puts shoe covers on before entering our home. Scheduling is great. Always professional and courteous. HP shows up when they say they will to handle the service. everything is good service excellent service man who has been coming to my house lately is great. Service has been excellent. Rarely see a live insect inside our house. Termite treatment is working to not have any sign of termites. Everyone is professional and friendly. Returned from a trip out of town to a kitchen counter over run with ants 🐜. Within 24hours Ken came out applied a gel to where I believe they were coming in. Gave warnings they would return in great numbers that day but then would disappear. Looking good so far. Very happy with promptness and through inspection, if asked will highly recommend your service. Very professional and courteous would use you again. The exterminator technician that did the job was professional with excellent customer service. very good service by our tech he deserves a raise. Always on time and very thorough. Eric was prompt, professional and friendly! Great job! Like your service and employees! I am very satisfied with the service. No complaints!! I am happy with my service tech and the results but so far I have had to call the company to get them to show up instead of them being on the service schedule promised. I realize weather can be a factor but it is incumbent upon them to communicate a new service date and not leave us hanging until we get tot he points to having to call. you provided. Your technicians are polite and competent. They answered all our questions . Last Thanksgiving I had tiny tiny sugar ants... thousands of them and they are my cupcakes I had during a party! So gross and embarrassing. Home Paramount came out and took care of the issue ASAP. I just had a wedding party with a $200 wedding cake and I was so nervous and I didn’t see 1 ant! Thanks for rescuing my old house from these horrible microscopic creatures! I wanted to make sure you know that I would like to have your Mosquito treatments again at my home this summer. Thank you, Leslie Topus. The two gentlemen who provided services were very professional and knowledgeable. Very pleasant personality also. I am happy with the level of service that I have received from Home Paramount. No bugs, no spiders, and no pesky squirrels gnawing on my home! 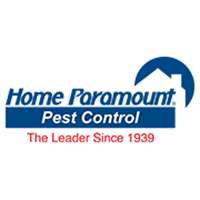 We have been customers of Home Paramount for over 5 years, and are very satisfied with the services they provide. Your service is as expected. Thanks you. Great service technician Steve. Always does a great job, and is courteous. Haven't seen an ant in a year inside our house! Jesse is a terrific rep! I pay with checks and you need to send a paper bill I don't do computers well hope you get this.